Asian greens like Bok Choy, Sui Choy and Chinese cabbage are loaded with nutrients including folic acid and calcium and well worth making a regular part of your weekly meals. 1. 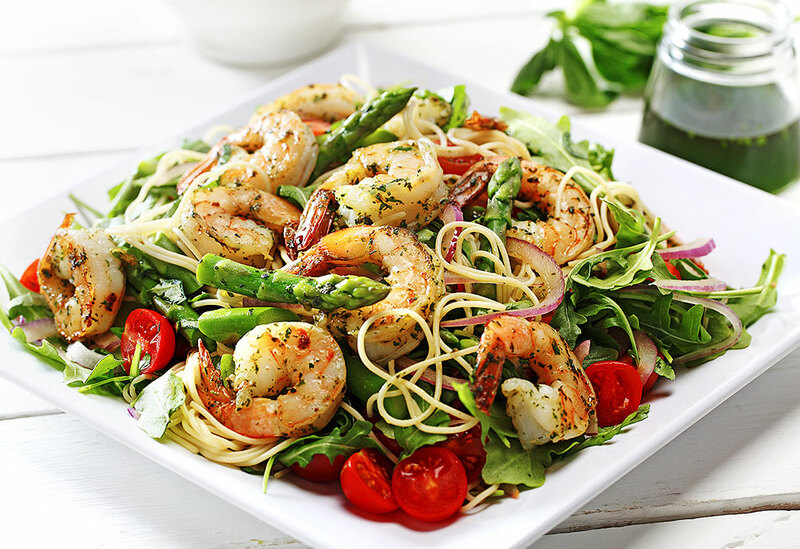 In large bowl, toss prawns with cooking sherry and ½ Tbsp (7 mL) cornstarch. 2. In wok or large saucepan, heat canola oil over medium high heat. Add ginger and stir fry for about 1 minute. 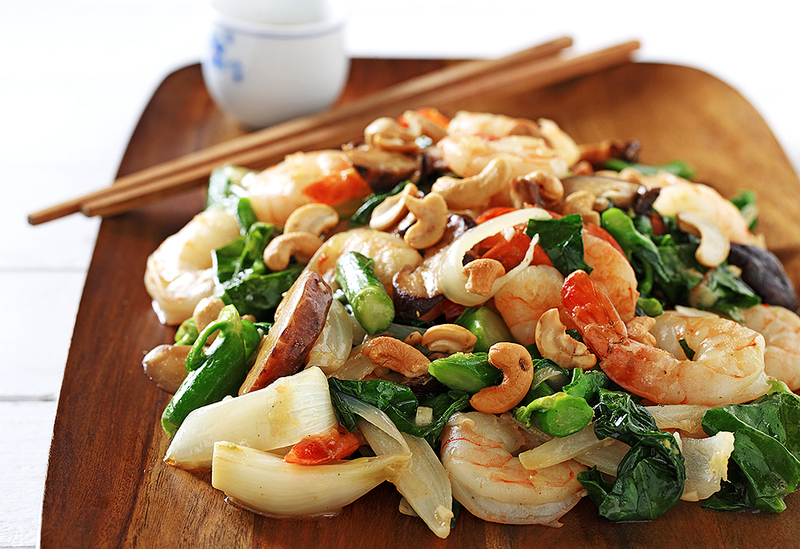 Add prawns and stir fry until pink. Remove from pan and keep warm. 3. In small bowl or cup, mix together chicken broth, sugar, soy sauce and remaining cornstarch. 4. 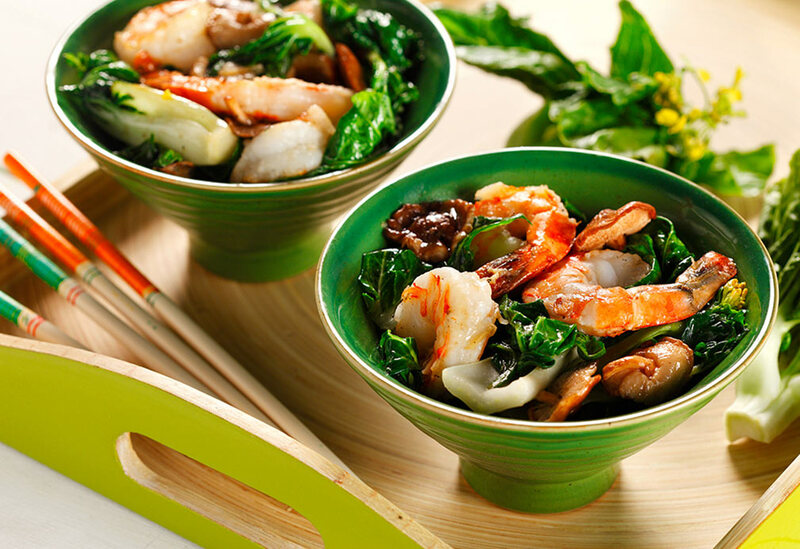 If needed, add a little more canola oil to the pan, add the bok choy and mushrooms. Stir fry for about 3 minutes. Return prawns and add chicken broth mixture. Serve hot from pan over steamed rice or noodles, if desired. Tip: *If using dried whole mushrooms (available affordably in the ethnic aisle), place in a bowl and cover with boiling hot water and allow to stand for at least 20 minutes. When rehydrated, chop in halves or quarters. 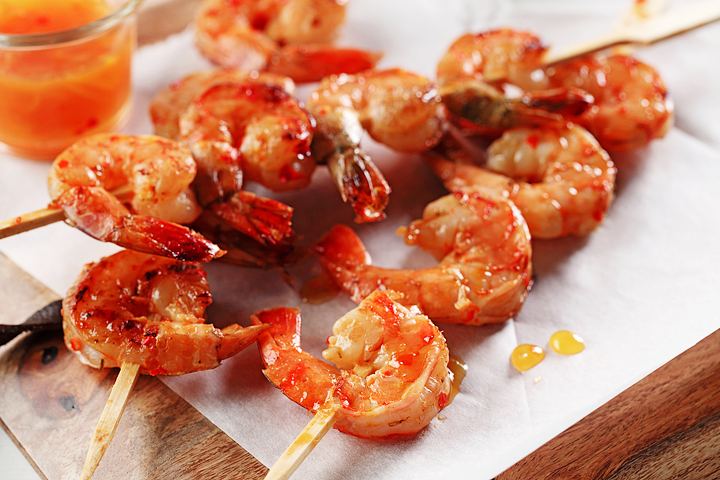 The orange zest brings out deep, sweet flavors in the sauce. Because of its high smoke point, canola oil can take the heat on the grill.